We're back for the not-so-new year with our latest edition! 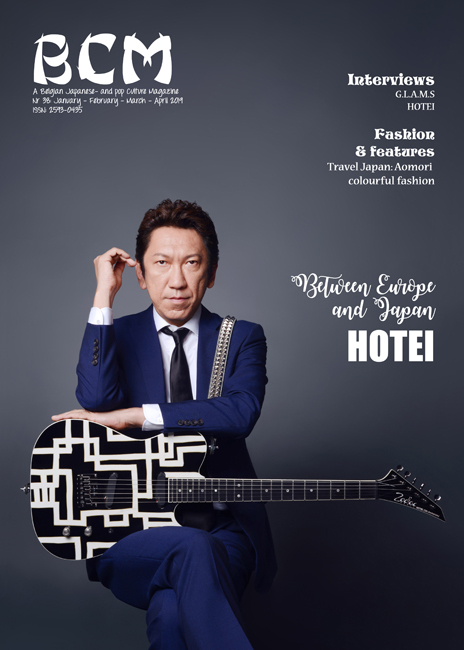 Bringing you interviews with Mikaru and HOTEI, fashion, travel features about Japan, events, Disney, beauty and so much more! 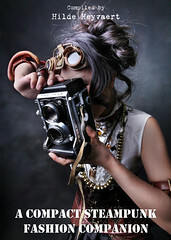 And to top it off, you can win some signed Instax photos, too! Want to get involved in BCM? Or simply want to tell us something? Drop us a line at hilde.heyvaert@gmail.com! We now have a master index of all interviews, features, fashion related articles, tutorials, recipes, events, etc right here. It's in easy alphabetical order with the issue number(s) behind it so it shouldn't be hard to navigate at all. Previous editions of BCM are now available for free download once more! If a download doesn't work, please send me an email on hilde.heyvaert@gmail.com and I will do my best to solve the issue for you! Originally BCM was the abbreviation of Belgian Cupcakes Magazine, which started out as the magazine of the Belgian Japanese fashion community of the same name (minus the Magazine at the end of course), for and by its members. It quickly caught on in the J-fashion scene, making the need rise for a different kind of BCM, so from an all Dutch magazine (#1) we made the transition to English (#2) and from there to a fully English language fashion magazine focussing entirely on J-fashion styles. Of course the people putting BCM together had more interests than just Japanese fashion and the same went for its readers. So by the time we started planning out #6, we made the switch from just fashion to Japanese culture in all it's aspects: music, literature, cinematography, fashion: you name it. Starting that same issue we also began to interview artists and introduced the J-music corner, introducing all manner of bands and artists of all genres imaginable to our readers. With more and more contributors joining in from literally all over the globe, the need to re-adjust the name arose, turning it from Belgian Cupcakes Magazine to Belgian J-culture Magazine, allowing us to keep the abbreviation of BCM, under which had become better known than the full name anyway. Starting 2015 BCM became a tri-monthly magazine, due to the real life commitments and obligations of the crew. Rather than giving up on it, we opted to take more time for each edition so we can guarantee quality and growth of BCM. By the time issue 29 was released, again due to the interests of both crew and readers, we branched out even further, so we could put more focus not only on Japanese culture, but also popular culture, as in Belgium and Europe these two generally go hand in hand at events. Don't worry, your trusty BCM will remain growing as we go, adding only to the well-read and well-loved features we already have. Look out for the next issues, I think you'll be pleasantly surprised.